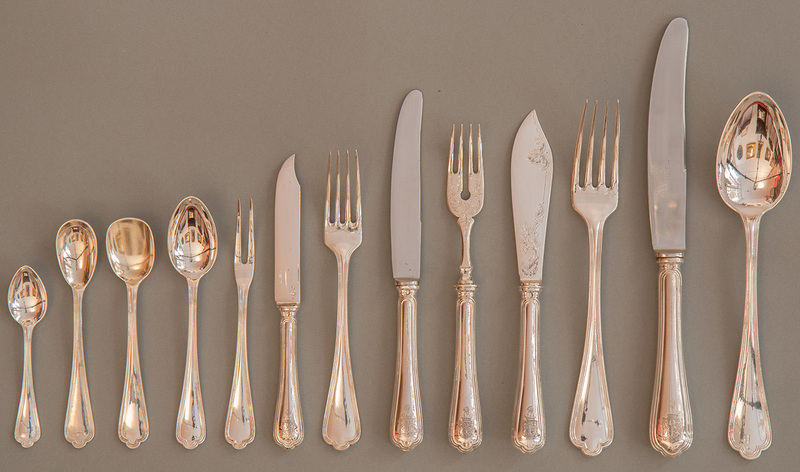 Perhaps you are fortunate enough to have valuable silver cutlery (sometimes called “flatware”) included as part of your removal. If so, the following tips might well be worth reading. • If you plan to clean it as part of your move, usually gently warm water and a mildly soapy liquid, followed up by a clean water rinse, will be fine. • If you decide to use silver polish, do so sparingly and make sure it is thoroughly cleaned off including a rinse. Remember not to clean too frequently or use lots of force – you risk eroding makers’ names or hallmarks. Some specialists would argue you should never use polish on antique silver but some users might be put off using cutlery that’s dull and tarnished to the point of being seen as ‘dirty’! • If you have a canteen of cutlery then it may be perfectly OK to be moved as-is. If your cutlery is loose, you can purchase a fabric cutlery holder to put the pieces in individually. • Ideally, it should not be shipped with one piece touching another, as that may lead to scratches and dents. • If you are wrapping each piece individually, make sure you use appropriate materials that will not damage the surface of your silver. • Never hold groups of silver cutlery together using rubber bands. That’s because rubber contains chemicals that will quickly tarnish and corrode your silver. • Please notify us in advance if the value of your flatware is considerable. We may recommend that you take special precautions with it and furthermore, you may need to make a special insurance declaration. For household and furniture removals, Christchurch insurance providers may require that for higher-value items in order to provide cover. We regularly move antiques of all types including silver items. So, don’t hesitate to ask us for further help and advice.